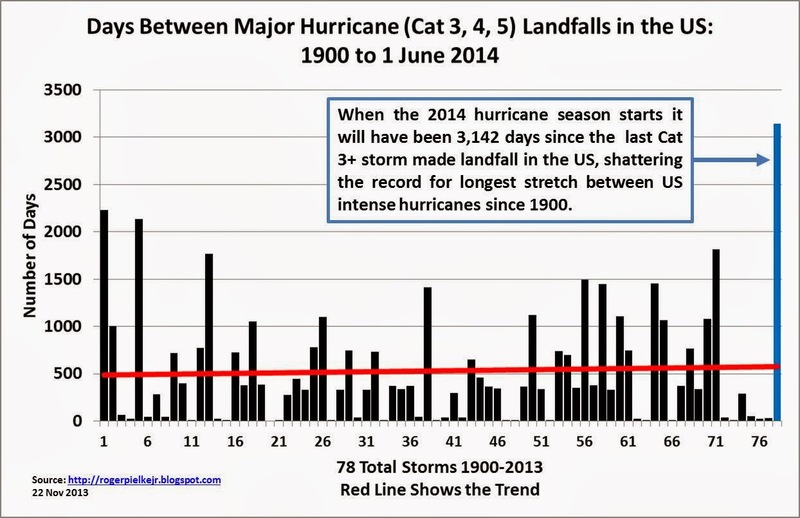 Dr Roger Pielke Jr has updated his famous hurricane drought to the start of the 2014 season. Concluding that by June 2014 it would have been a record 3,142 days or 8.6 years since the US has been hit by a Cat 3 or greater hurricane. The last such hurricane was Wilma on October 24th, 2005. Hurricanes are actually getting not worse, but fewer. The US good luck with respect to hurricane landfalls — yes, good luck — continues. 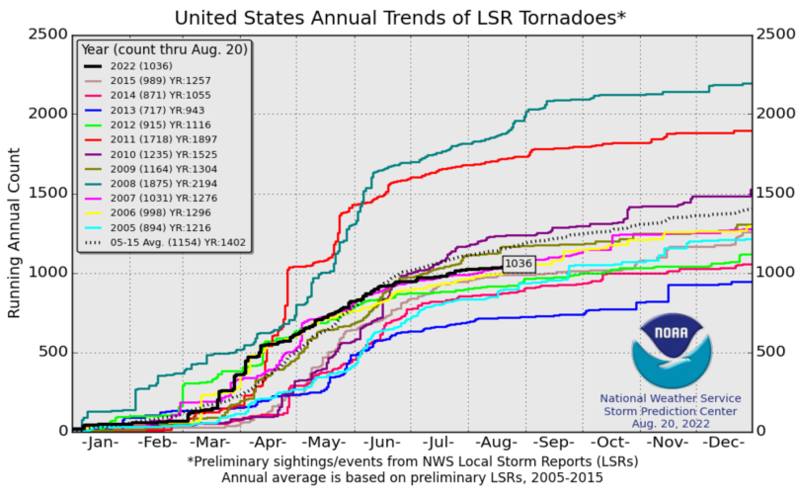 The graph below shows total US hurricane landfalls 1900 through 2013. 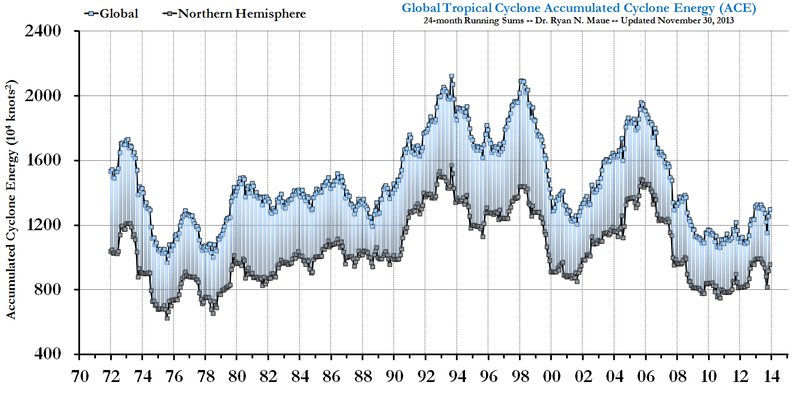 To date 2013 is at 73% of the global average and the North Atlantic is at 30%. 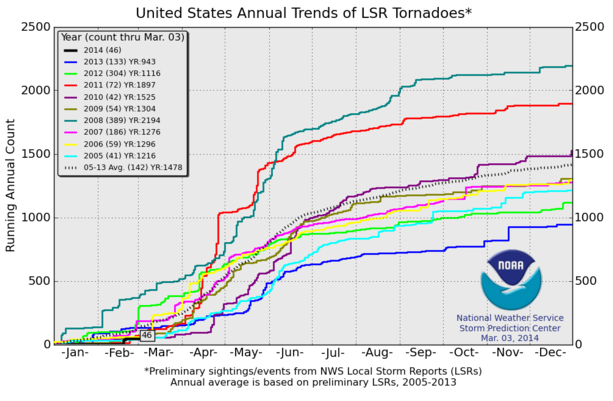 We’ll post up our updated data for global landfalls through 2013 before the end of the calendar year. 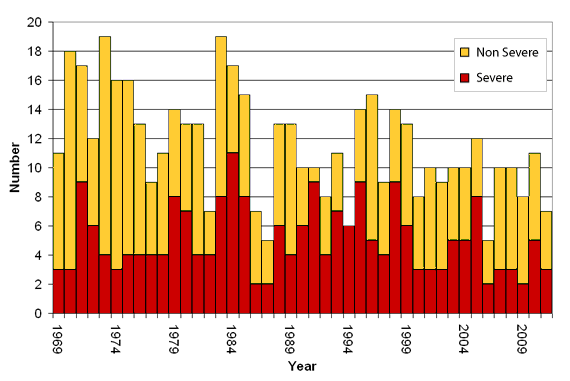 ATLANTIC hurricanes are actually getting not worse, but fewer. 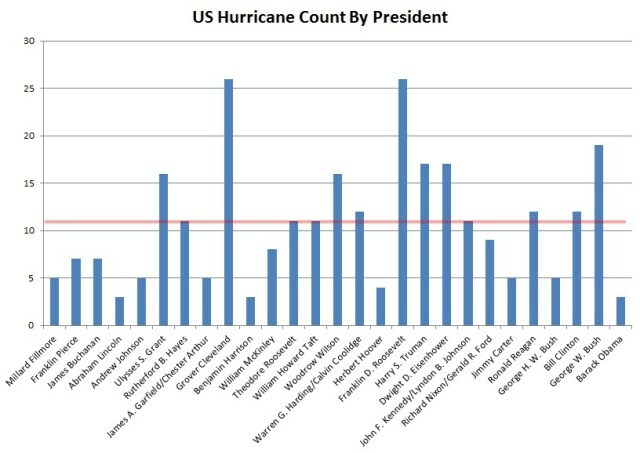 Grover Cleveland, who was president between 1885 and 1889, had 27 major hurricanes during his presidency. Only three major hurricanes have made landfall during Obama’s tenure thus far.